Rockstars are notoriously hard to control. Which makes it especially odd that Apple, for its new music social network Ping, would release a nine-page book of guidelines for artists planning to join the service. Rockstars are notoriously hard to control. Think of Axl Rose or Kanye West. Legendary artists play by their own rules: showing up late to gigs, mouthing off to fans, or fighting record label execs for getting in the way of music. Which makes it especially odd that Apple, for its new music social network Ping, would release a nine-page book of guidelines for artists planning to join the service. • Posts should not include advertisements or links to sites outside of iTunes. • Posts should not contain links to other content providers. website URLs. URLs can only be posted in the Event feed. favorite artists are listening to and downloading. follow you if they can tell that your profile is active. Could you imagine Kanye West following any of these guidelines–the guy who stormed the stage at the VMAs and drunkenly objected to an award he wasn’t even in the running for? The best part about social media is the unfettered access that fans gain to artists. It’s why Lady Gaga can start an online campaign against Don’t Ask, Don’t Tell for her 6.7 million followers on Twitter: They’ll click the links she tweets to see what provocative antics she’s up to on, say, YouTube. We friend artists on Facebook to get access to behind-the-scenes footage, Twitpics, or live streams. But on iTunes, artists can’t include links to sites outside iTunes–not even to their official artist homepages. For that matter, links cannot be included to any other content providers. Only URLs for events can be posted, and only in a specific place. 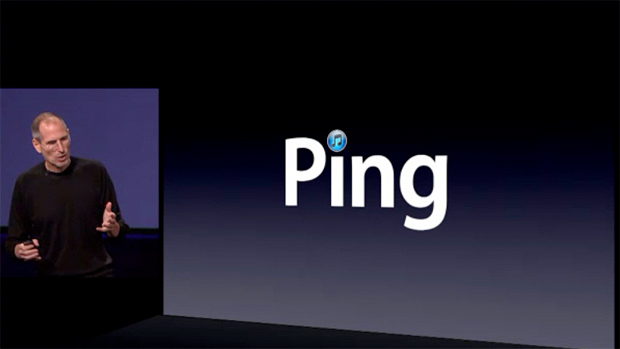 This is what happens when Apple creates a social network: Ping has been designed to be as sanitized as an Apple store. Can you even think of another social network that hands VIPs a book of rules before joining? Does Facebook tell Justin Bieber he shouldn’t link to his own music? Does MySpace require Katy Perry to keep links out of her About section? If only Kanye West had stepped forward at the Apple press conference where Ping was unveiled, this might have gone a little differently.